If you have your own website or blog, you know full well that managing it is a little mind numbing. Not only do you have to worry about the ongoing Panda and Penguin updates, but you also have to concentrate on getting quality traffic, link building, content writing, and updating your web pages. 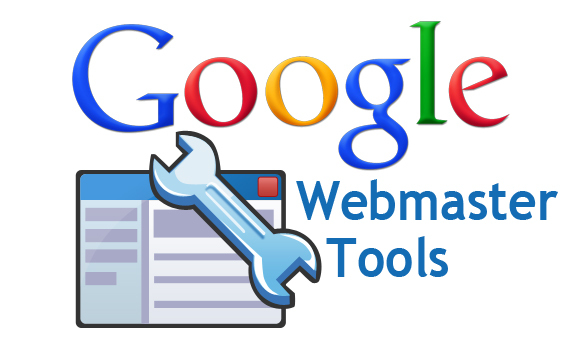 Just the thought of it is enough to intimidate any dedicated webmaster out there. Messages – Google uses this to communicate with webmasters about possible pages infected with malware or installation features that need updating. It also tells you if you have Web pages that were demoted from SERPs. Configuration – If you want to specify a demographic, say Australia, you can set a geographic target that will then inform Google that your site is intended primarily for AU audiences. Also, if the search engine considers your website a reliable authority for a particular keyword, it'll show a series of links below the main link on the results page to point to other important links on your website. Other functions also include URL Parameters, Change of Address, Users, and Associates. 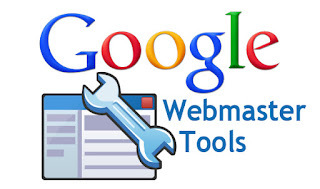 Health – This is what you use to identify errors that Google has detected upon crawling your website. It helps you assess problematic issues on your site, such as server malfunction, missing or redirected pages, broken links, etc. Traffic – This is where you'll find an overview of the major keywords that drove people to your site. Even if the data you gather varies slightly from your other analytics platforms, like GA, what's important is THE info you'll get. This includes the top traffic-driving keywords for your site, the amount of impressions and clicks, (consequently) your click-through rate, and your average ranking on SERPs for a certain query. Optimisation – This feature gives you easy access to and control of your website to make it SEO friendlier. The Sitemaps button gives info about the Sitemap on your website, including the number of pages that Google has indexed and the potential errors that it has detected. Labs – This section functions as it name suggests, a science lab. Here, you can “test” specific settings to assess if it is indeed ready for “real time”. 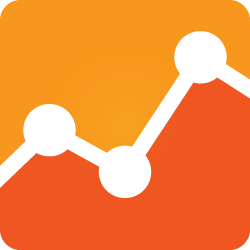 Coming from the same brilliant search engine that brought you GWT, this is a free Web analytics online service that gives you statistics and lets you access analytical tools for your SEO campaigns. GA was originally designed for the benefit of small and medium-sized e-commerce sites. Because of its limitations, complex and high-end websites are less suitable for this platform. Originated by a few MIT grads, this online tool has now graded over 4 million websites. It is definitely proving to be a top contender in the analytics industry. This free feature from Hubspot analyses all of your online marketing campaigns, not just your website. It uses about 30 different elements in determining a grade, which is from a scale of 1-100, for your website. It is premised from the idea that marketing no longer just involves your website, but also your social media presence, your email marketing strategies, your blogging, your lead generating methods, and so on. Based on this fact, it goes to say that all your efforts will be assessed so you can determine which goals and strategies you need to focus on. Some of the elements you will be shown is competitive benchmarking, lead generation, social media, mobile marketing, and overall analysis of such features. What's great about it is that it also outlines which steps you should take as an online marketer. With every plan, there should always be a plan B, right? Part of being a website owner is making sure that all your hard work doesn't go to waste. Hence, you should look for a reliable backup system for your website in case you encounter malfunctions or hackers in the future. This is where myRepono comes in. Once you sign up, you will be provided with a highly secure PHP API, which you should upload to your website. This will allow the MR to connect to your server and view your files and databases. You can choose the files and data that you wish to backup, control how often you want the system to back them up, and specify how many backups you wish myRepono to make. What's so useful about this tool is that you can sign in any time you want to view your backup files or even download them. This is a free web-based program that allows members to make and maintain their own blogs and websites. Initially, it started as a blogging platform, but because of the rising need for open sourcing in online communities, this online software has become more than just a tool for bloggers. Now, it is an efficient CMS or Content Management System, which means that it is more than capable of running full-scale, SEO-friendly, and social media-rich websites and blogs. Once you become a member, you will have access to web designs based on various themes, a dashboard that lets you customise every single element in your site (more so if you pay a premium), and an easy medium for publishing posts online. What's awesome about this platform is that it shows you accurate statistics of your fan base—how many views you are getting in each day, how many times those viewers viewed your pages, your average traffic per month, and so on. You may already be using one or two of these great online tools. If not, NOW is the perfect time to sign up for an account. After all, if you can get awesome features free, what's keeping you? Jonny Lis is a Digital Marketing Specialist at Smart Traffic, a company based in Bristol and offering SEO services in Australia, in the UK, and other countries. Jonny oversees SEO strategies for 300+ campaigns.